Herlinda Heras is in today with Sam Holloway, a Portland, Oregon based brewing business consultant, and Steve Waters, owner of Backwoods Brewery in Carson, Washington. Mark Carpenter is away this week. 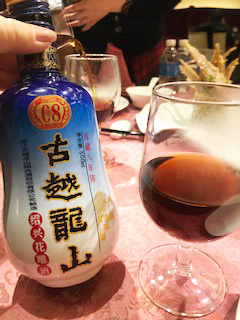 Herlinda is just back from China and she brought some rice wine back, which she says is not like Sake, the Japanese product. Sake is brewed like beer with Koji, their type of yeast. They talk about Wilibees in Santa Rosa and Petaluma that always has a great selection of beers. Herlinda mentions Revision Brewing, voted the #3 new brewery in the US and #1 in Nevada, and that Wilibees always has some of their product in stock. Herlinda Heras has brought Sam Holloway today. He is based in Portland, Oregon and has come for the California Craft Brewers Conference. His company is called Crafting A Strategy dot com. They are an online learning community for serious brewing entrepreneurs. He is a college professor with a PhD in Strategic Management and is part owner of a brewery. He has spent his life studying breweries. He has rewritten and publishes an MBA-level 180 digital lessons on brewing business. Steve Waters, CEO of Backwoods Brewing Company in Carson, Washington, is also here. He is also there for the CCBC. Carson is located in the Columbia River gorge. They started in July of 2012 and is family owned and operated. He was a student of Sam’s at the University of Portland and contacted him when his family was ready to start the brewery. They also have a new tasting room in Portland. 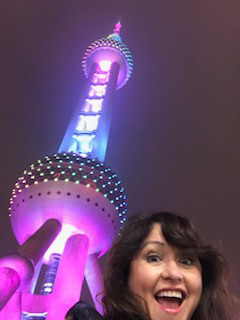 Herlinda Heras was recently in Shanghai, the most populous city in the world. She moderated the first Olive Oil Summit ever in China. She got to moderate the Top Chefs of China competition and she also co-hosted the first China Brewers Association Beer Awards. They start tasting a Chinese beer that she brought back. Sam first went to China in 2015 for a beer conference and he has seen the numbers of breweries grow from a handful to hundreds and that Chinese consumers are discovering good flavorful beer. It is the world’s largest beer consuming country. 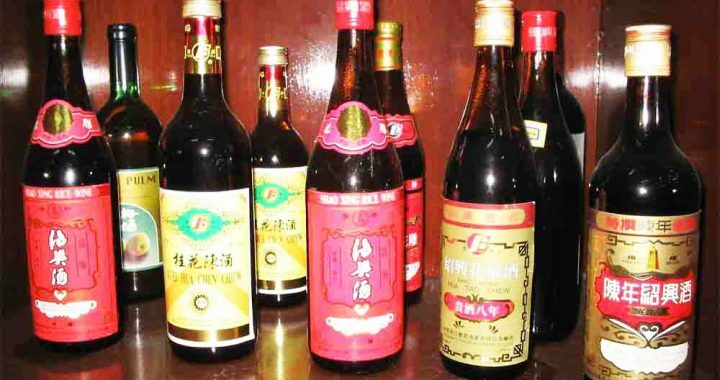 They talk a little about Baiju, a strong distilled liquor popular in China, that Herlinda compared to vodka or everclear. Then they taste a Chinese rice wine, brown in color. It’s fermented rice, but not brewed and cooked with yeast, as with beer and sake. Here, they actually let the rice ferment, like grapes or apples. It is about 15 or 16 percent alcohol, like a strong wine. Herlinda describes the pork and shrimp soup dumplings that she had and Sam Holloway agrees it’s one of the best things he’s ever had. Her friends took her to all the best local hole-in-the-wall restaurants. “The best food I’ve ever had in the world was in Shanghai,” says Herlinda. Steve Waters says that the brewers he most admires are also great cooks, who are interested in flavors. Sam Holloway describes his business of consulting to breweries, helping them make their dream an operational success. In one scenario, a small brewer needs to operate on profitable and predictable margins with the core beers in its product line. But they also want to produce the creative beers, which have business margins that are harder to predict. He posed the problem to his student entrepreneurs and within a day he had some brewery CEOs describing how they approached the problem. Herlinda tells about the proliferation of money and wealth in Shanghai. Since he is going to teach in China, he will be trying to help breweries in the Chinese market where the large breweries are owned by the government. Getting a brewer’s license is very difficult, but they have luxury restaurants that brew beer on the premises.